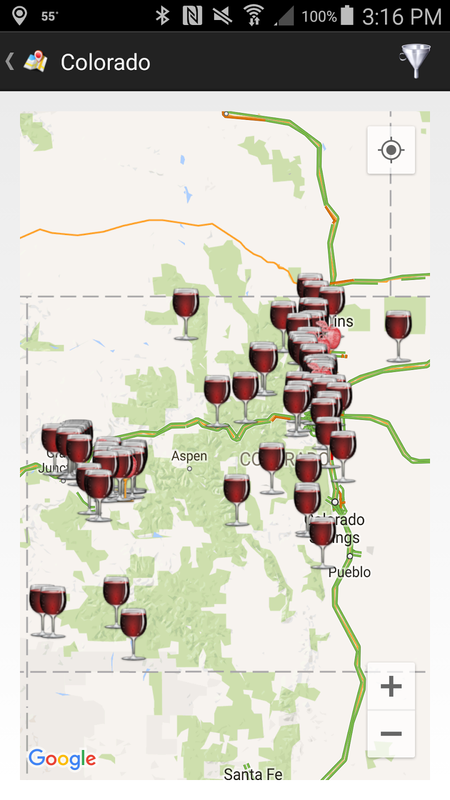 The Colorado Wine Board wants you, the wine consumer, to know that the Centennial State produces quality wine. 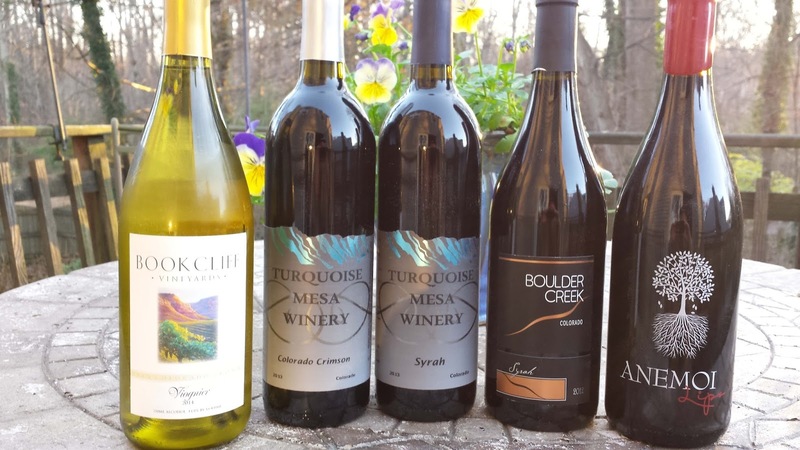 One marketing platform they are utilizing is an #UncorkColorado Wine Virtual Tasting Series which featured the twelve wines in the 2015 Governor’s Cup Case. Seems that Colorado is a good fit for Rhone styled wines as five of these wines were included in the case with two Syrah wines tying for Best in Show. For those unfamiliar with Colorado wine, almost all are gown in the western part of the state with the Grand Valley AVA accounting for 80% of the grapes are grown. The next largest region is neighboring Delta & Montrose Counties which include Colorado's other American Viticultural Area, the West Elks AVA. That being said, over half of the wineries are located in Colorado's Front Range, the longitudinal area where the plains meets the Rocky's in the eastern part of the state. These eastern wineries source most of their fruit from the western region and have the grapes picked in the morning and then transferred overnight in a refrigerator truck. Also known as the Mile High State, Colorado is home to the highest vineyard elevations in America. On the positive side this altitude enhances a grape's acidity; one the negative side crop loss from frost and freezes are common. According to the Colorado Wine Board, planting records indicate that Bordeaux varieties are the most common grapes planted in Colorado, but Rhone varieties certainly stands out. And we are referring to Northern Rhone with Syrah and Viognier. Of the two, Syrah dominates with 1,000 acres planted compared to just 30 acres for Viognier. During out tasting we sampled one Viognier, three single varietal Syrah wines and one Rhone blend. These wines were more than solid, very tasting and structurally sound - proving that Colorado is wine country. 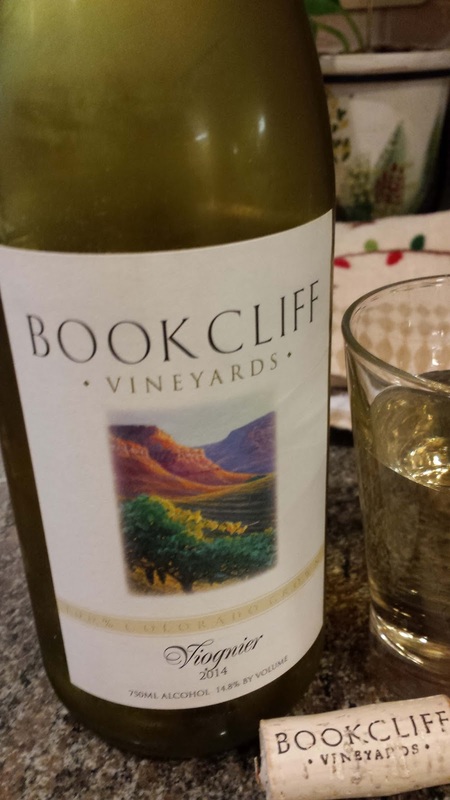 BookCliff Vineyards 2014 Viognier ($16, 14.8%) - BookCliff accounts for two of the 30 acres of Viognier that were originally planted in 1997. Yields in the 2014 harvest were low, still being affected by an early freeze in 2013 that damaged most vines. This had the beneficial result of concentrating the flavors and with the vineyard's high elevation of 4,600 feet, enhanced acidity. The wine starts with a unique lemongrass aroma followed by apricot flavors, with some levels of cream, and refreshing acids. 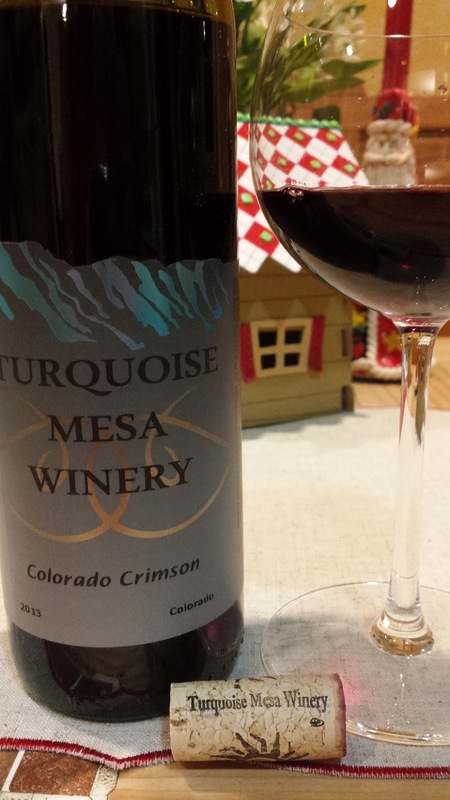 Turquoise Mesa Winery 2013 Colorado Crimson ($28, 13.5%) - blend of Syrah, Mourvedre, and Viognier sourced from the Grand Valley. After fermentation the wine was aged in three American (Minnesota) oak barrels, one new, and two multi-year barrels. There is notable spice on the wine a mix of pepper and baking spices - most likely a result of the oak. 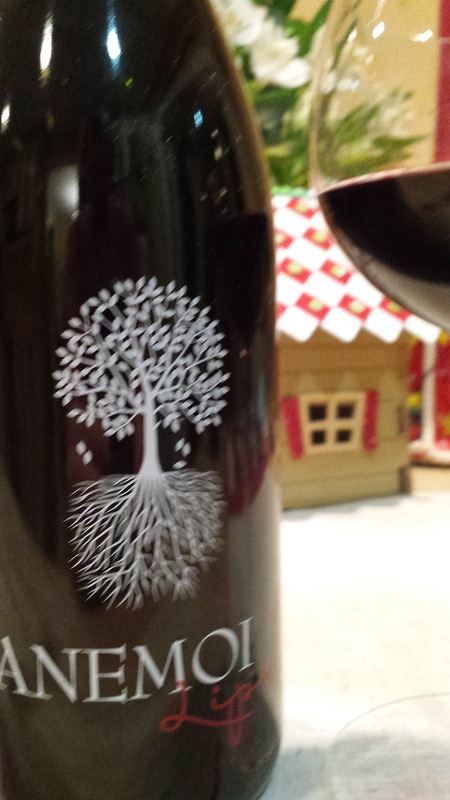 Once the spices blow off, the dark fruit flavors appear and with the soft tannins a very approachable wine. 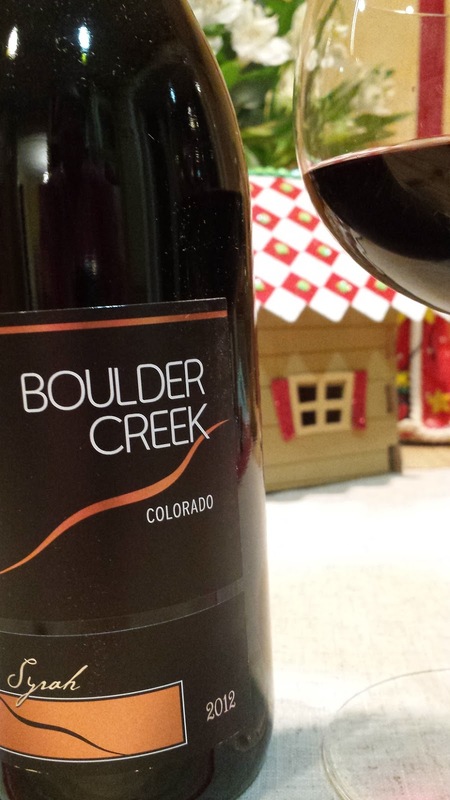 Boulder Creek Winery 2012 Syrah (14.4%) - sourced form Talbott Farms/Diers Vineyard, Grand Valley AVA and aged 14 months in 2-year old Hungarian oak barrels. Sadly this winery closed down this month after 13 years in the industry after losing their lease. It appears the a side affect of the marijuana industry is escalating rents and the cost-benefit analysis for continuing just didn't add up. That's doubly sad because this is an excellent wine, a healthy wine was my initial exclamation, with big flavors and tannic structure yet finishing softly. 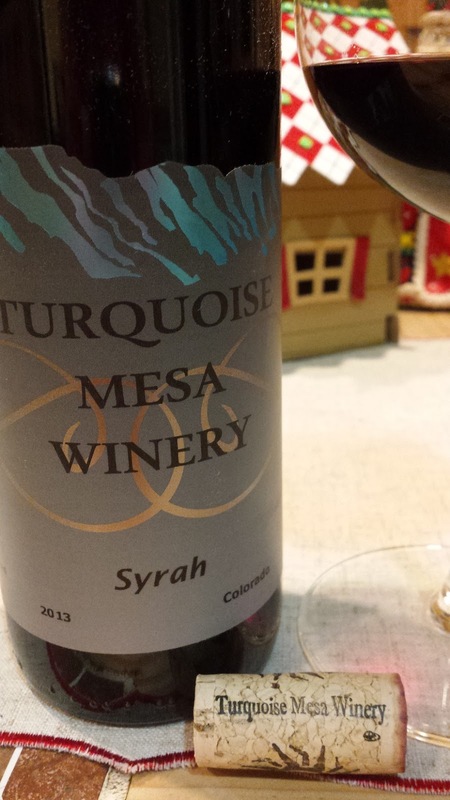 Turquoise Mesa Winery 2013 Syrah ($35, 13.5%) - sourced from Talbot’s Mountain Gold Block 19 Vineyard, Grand Valley AVA and aged in three American (Minnesota) oak barrels, one new, and two multi-year barrels. Like the Colorado Crimson this wine starts with plenty of pepper and spice which eventually subsides to reveal very dark fruit, some chocolate, earthy tannins, and decent texture. Canyon Wind Cellars Anemoi 2013 Lips ($35, 14.4%) - Syrah; 100% Cliffside Vineyard, Grand Valley AVA; aged in all new American oak for ten months. The name refers to the Anemoi who were the four wind gods in Greek mythology and acknowledges the winds that regularly flow through Canyon Wind's vineyards. This was my favorite wine of the evening, simply delicious dark plummy fruit, a slight cola flavor mixing with tea and wood, then some velvety cream, finishing with acids and backbone. One complex and tasty wine. Is WineCompass.com Really Ten Years Old?